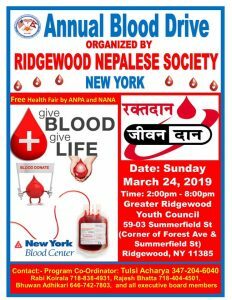 Durga Temple (DT) is also an underway constructive project of Ridgewood Nepalese Society. The concept of Temple came from the Dashain program (Jamara – sprouts of grains used in the festival), the greatest family festival of the year of Nepalese Hindu people on October 2008. The Hindu Nepalese worship Goddess Durga, a symbol of victory in Dashain festival. 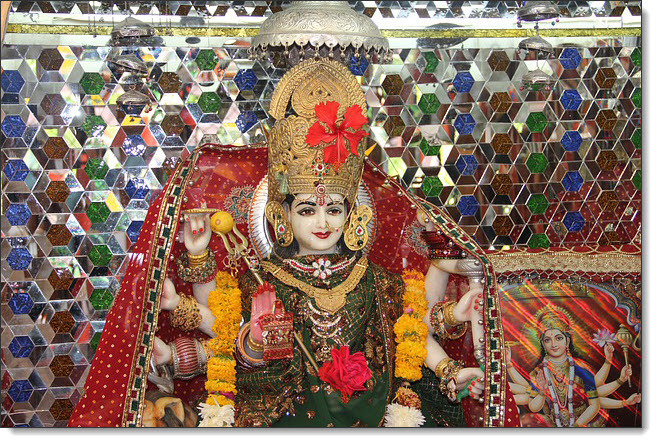 The name of temple remained Durga Temple as it was started from worshipping goddess Durga. The temple was established in one of the buildings at Putnam Ave, and later was shifted to Summerfield Street. DT can be called also a part of NCC project because it will remain in the NCC building. 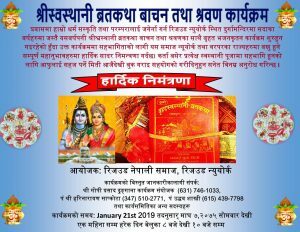 The Society is actively working on DT project to develop a holy place for worshipping and developing Hindu rituals, and a common place for festivals, community and cultural activities. The ultimate goal of establishing DT is to develop religious belief in Hinduism and related religions such as Buddhism and Jainism. We believe that the beliefs in God and spirituality make people of good moral character, trustworthy and disciplined. This will help to develop a social justice in the community and in the nation at large.